Garden and Nursery will surely be full of happiness and autumn rain by then. We have lots of interesting new perennials on offer, including a great selection of Salvia, which have certainly earned their keep in the garden during this exceptionally hot, dry summer. 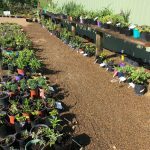 Roses, perennials & pottery for sale. 761 Kaiaua Road, Mangatangi. The second garden it is a short walk across the paddock. 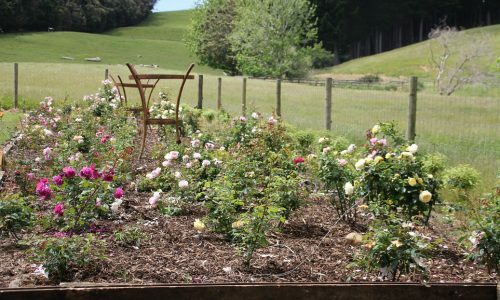 Grassroots Roses is a specialist online rose nursery in North Waikato. 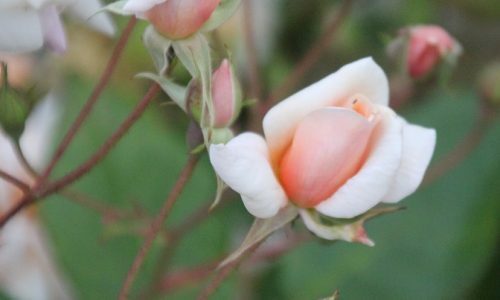 We grow all sorts of roses but focus on selling old-fashioned and heritage rose plants. 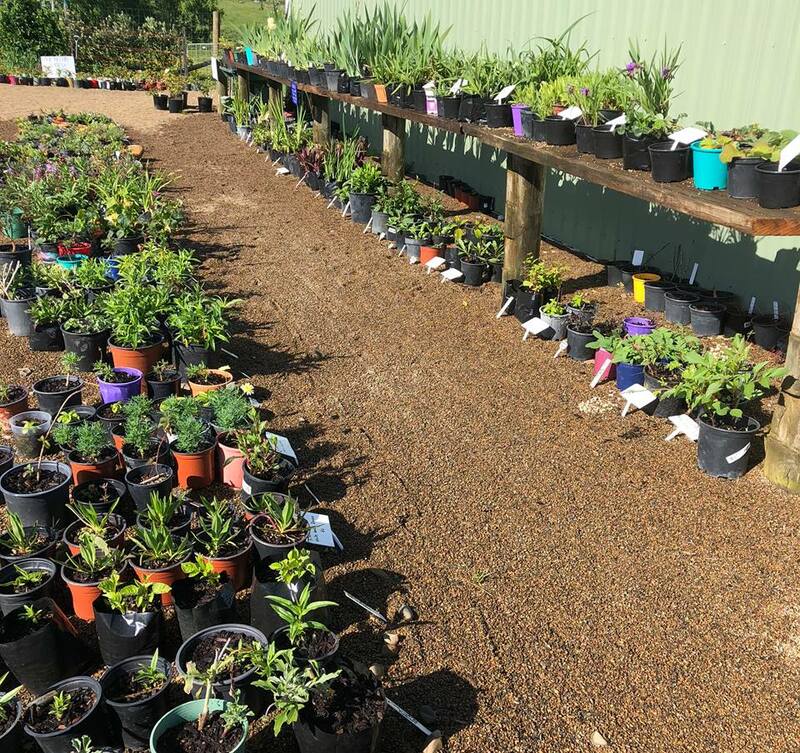 We have created an extensive collection or over 600 varieties, many unavailable from commercial nurseries. 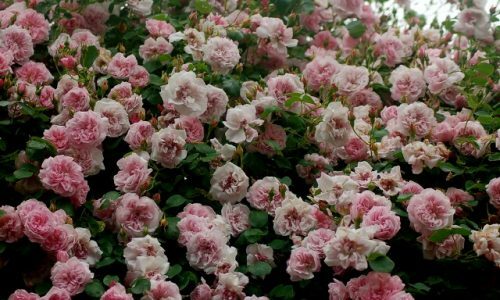 From our home-based nursery we can supply mail-order rose bushes to anywhere in New Zealand at very reasonable $ prices. 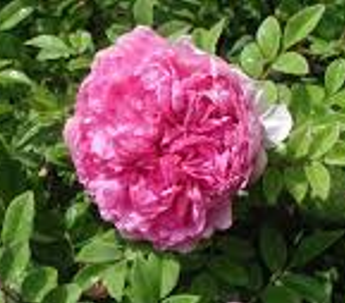 To buy our heritage rose plants or perennials online, please email or call us. It may be a bit old-fashioned but that way you get to talk to a real person about your garden requirements. 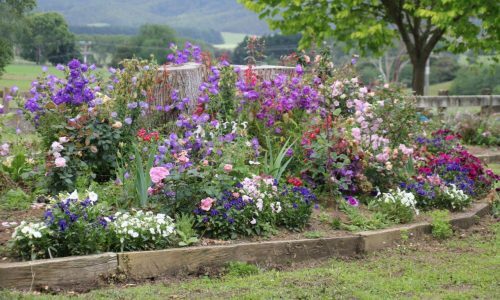 Lots of people think growing and looking after rose bushes is really hard, so they grow “low maintenance” plants like natives and grasses (not that there is anything wrong with them but, let’s face it, it’s good to have flowers and the bees are very grateful). 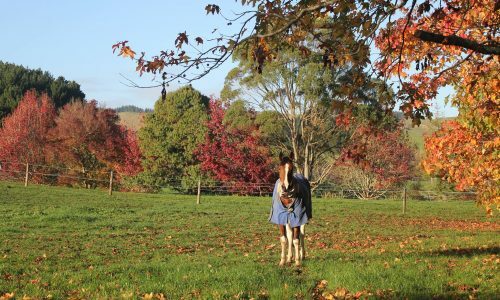 In fact old fashioned varieties can be really easy in our kind New Zealand climate. They are also very hardy and hang on when many other plants give up the ghost. 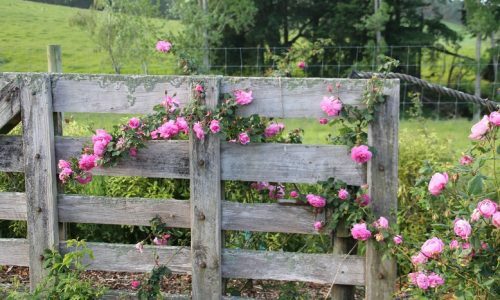 That is why old roses can still be found growing on old farms, sections and even roadsides. 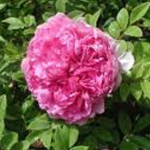 Many of our favourites are the David Austin English Roses. We are now propagating these successfully on their own roots. 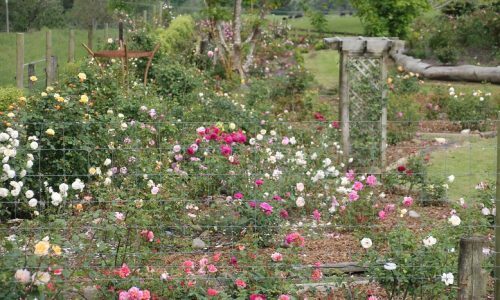 Some are a bit more fussy than some of the other roses and will need more care. To help you along we have written a Guide to growing David Austins in humid Auckland / Waikato northerly conditions. 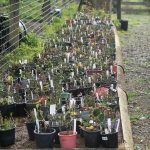 We make all our roses and perennials from cuttings or root pieces taken from our gardens at Mangatangi. 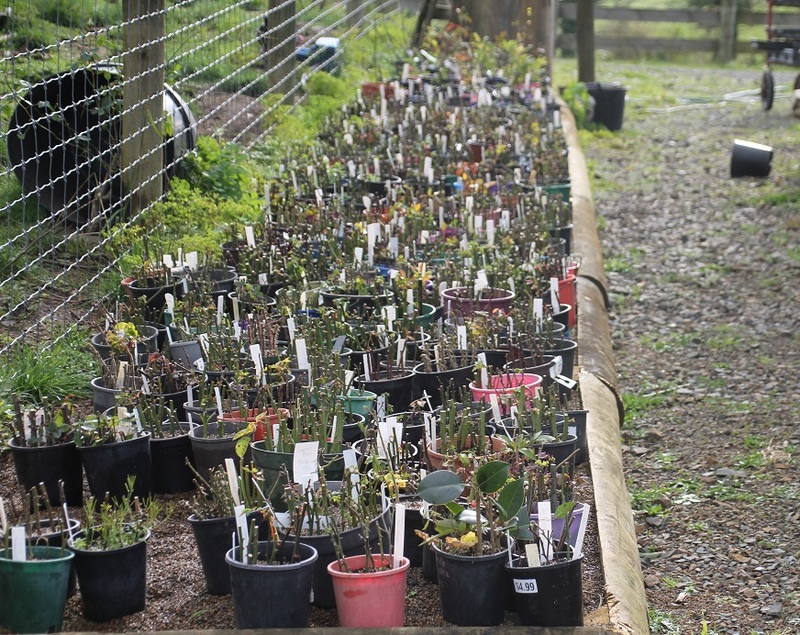 They are raised in completely outdoor conditions, therefore, when you buy, the plants are 100 percent hardened off. They are ready to go as soon as you get them in the ground. 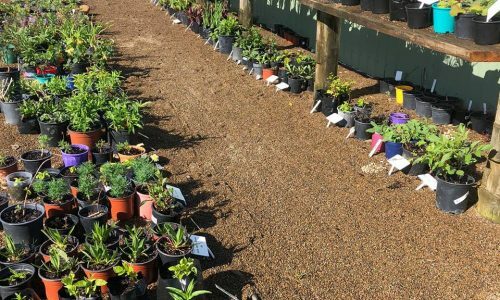 We welcome visitors to our nursery and garden by appointment any time. 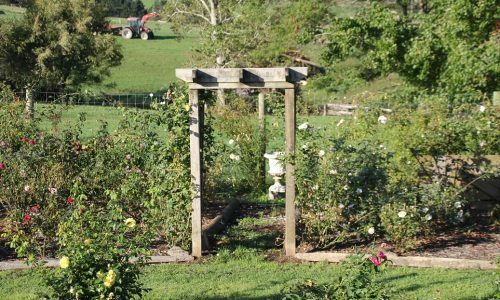 You can have a look at the garden and choose roses and perennials that take your eye. The plants will be happy to not have to be posted ! Please note we are a small business and don’t have eftpos. You can bring cash or pay by internet transfer if you have good coverage on your phone. 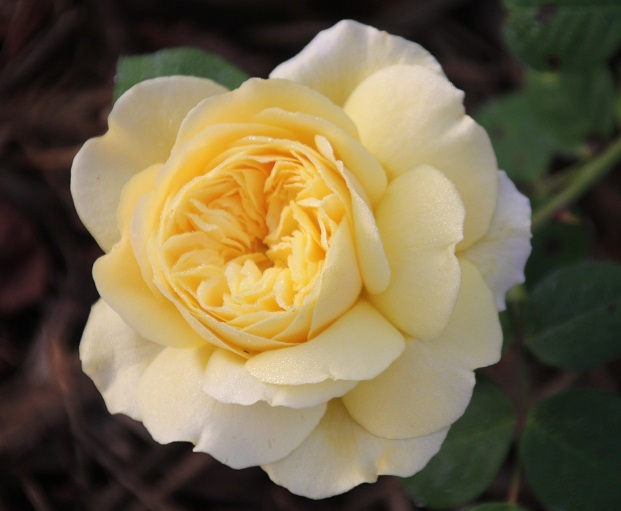 See our online Roses for sale and Perennials for sale. 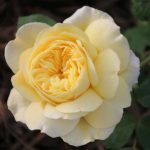 Please note that our website is still a work in progress so not all our roses are listed online. For orders, advice, inquiries please contact us. 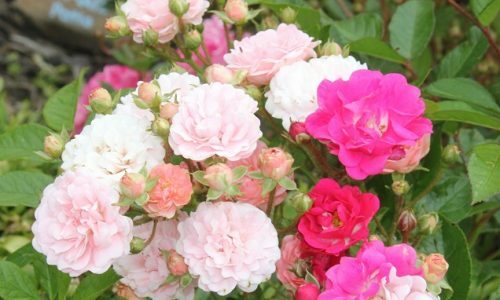 If you are not sure what roses are suitable for your garden, then please contact us to let us know what you are looking for. 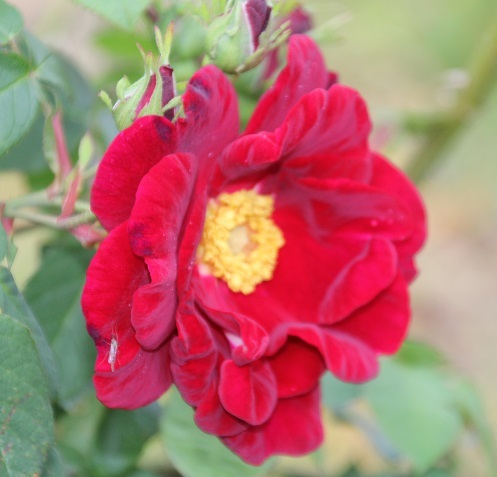 Drawing on our many years of rose growing experience, we will be happy to make recommendations. We have been selling partially bare-rooted roses at very reasonable prices for many years now, with great success. 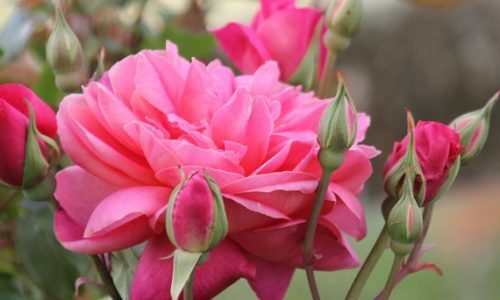 We sell mail orders to gardeners and rose lovers to Auckland and all over New Zealand. For further information or orders please do contact us.